Car accidents are a leading cause of injury throughout the United States and California. In fact, our state’s roadways are some of the deadliest in the nation, according to data from the National Highway Traffic Safety Administration. A car accident can lead to numerous damages, from medical bills and lost wages to damage to your vehicle or personal property. If you or a loved one suffered harm in a traffic accident, you need the help of an experienced Irvine car accident lawyer. Contact the law firm of Bentley and More, LLP today to schedule a free review of your legal options. 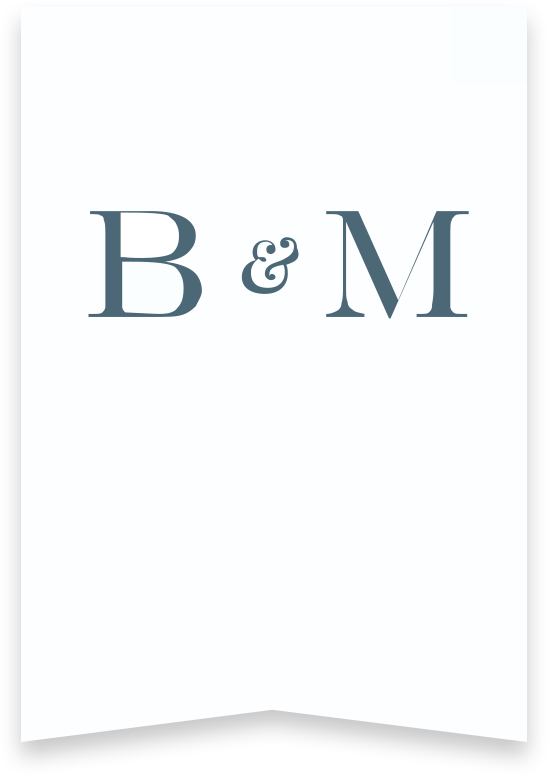 At Bentley and More, LLP we specialize in working closely with clients to understand their individual needs. We aggressively protect your right to compensation while offering our legal services on a contingency-fee basis. This means you won’t owe any attorney’s fees unless we win a settlement or court judgment on your behalf. Our team of car accident lawyers offers legal coverage to greater Orange County. Hiring an Irvine car accident attorney from Bentley & More LLP can greatly increase your chances of securing compensation for your injuries. How will a lawyer help me with my car accident case? How much will a car accident lawyer cost? What are the laws about car accidents in California? What are the most dangerous driving habits? How Will an Anaheim Car Accident Lawyer Help Me With My Case? Knowing that the vast majority of car accident claims settle out of court, meaning most drivers will never see the inside of a courtroom. More often, car accident claims go through a process of negotiation and settlement with an insurance company, guided by a personal injury attorney. Having experience with settlement and negotiation process. California follows a traditional fault model when it comes to car insurance claims, which means a driver typically files a claim with an at-fault driver’s insurance company to compensate for the economic and non-economic damages associated with an accident. Determining car accident settlement factors, including the severity of a driver’s injuries and the other damages he or she sustained. One of the most important things a driver can do for the settlement process is gather evidence to support the veracity of his or her claim. This means he should seek medical care and follow any prescribed course of treatment. He or she will also want to gather evidence like medical records, receipts for repair bills, photos of the damage, and more. Drafting and sending a formal demand letter, in which an attorney will detail the extent of a driver’s injuries and make a formal statement of his or her damages. Following an investigation, an insurance company will accept or deny liability for an accident, and the negotiations process formally begins. Negotiate with an insurance company to demand fair and full compensation for the damages a driver suffers. Legal representation is integral to the process, as it helps assure a settlement that accurately reflects the driver’s economic harms as well as his or her intangible losses, such as physical pain and suffering. A true car accident settlement includes reimbursement for medical bills, lost wages, the costs of future medical care, and more. How Much Does an Anaheim Car Accident Attorney Cost? Offering a FREE initial consultation. That’s rights – free. No strings attached. No commitments. A free meeting with one of our attorneys to see what type of case you have and strategize ways to get you the compensation you need. Working on a contingency fee basis. We don’t get paid until you do. We are so confident in our legal team, we don’t charge you attorney’s fees until we have settled or won your case. You have nothing to lose! Limiting the hours we bill. We know that any money you put into your legal battle is hard earned. This is why we utilize our whole staff to research and strategize for your case in order to reduce the amount of hours billed to you, and ensure you are receiving the most of your compensation as possible. Time limit for filing your claim. If you want to file a personal injury claim for your car accident, you have two years from the date of the accident to bring your lawsuit. For claims only involving property damage, you have three years from the date. Keep in mind that these time limits are for personal injury claims, not insurance claims. Make either type of claim as soon as possible after an accident. Comparative fault laws. California abides by pure comparative negligence laws. This means that an injured party (plaintiff) may still be eligible for financial compensation even if the courts find him/her partially at fault for the accident. A plaintiff can be 99% responsible for causing the crash in California and still recover. Don’t assume you aren’t eligible for recovery just because you contributed to the accident. Speak to an Irvine car accident attorney. Elements for bringing a claim. You must prove four elements to have the grounds for a personal injury claim: 1) that the offending party (hereafter known as the defendant) owed you a duty of care; 2) the defendant breached this duty of care; 3) that the breach caused the car accident; and 4) that you suffered real damages as a result. A good car accident attorney can help you establish these elements in front of a judge or jury. There are dozens of federal, state, and local laws that could come into play in any given car accident case. Your claim may involve DUI laws, distracted driving laws, commercial trucking laws, and many others. The best way to navigate the law in your favor is to partner with an experienced legal team. The Anaheim car accident lawyers at Bentley & More, LLP, have knowledge of all relevant laws that could play a role in your particular claim. Firstly, it’s important to check on the well-being of everyone involved in the accident. Drivers should check on the safety of their own passengers before inquiring about the well-being of others involved. If anyone requires medical care, dial 911. This will alert the police to the accident scene as well, so the drivers involved can provide a statement to the responding officer. Common courtesy and decency requires that all drivers check on one another, but drivers should limit their interactions with one another aside from that. Never apologize, and never do or say anything that could be construed as admitting fault. Lastly, drivers should pull their vehicles over the side of the road and allow traffic to pass. Avoid interacting until the police arrive on the scene, aside from exchanging insurance information. If possible, drivers should also ask witnesses to wait for the police to arrive and provide a statement for the police report. The police report is an important document that insurance companies refer to when making a designation of fault and choosing to accept or deny liability for an accident. It’s essential for drivers to use as much detail as possible when relaying their version of events. On the other hand, only include relevant information without embellishment. Drivers should be thorough in their account but be wary of editorializing, as this can undermine the veracity of a future claim to compensation. Drivers who sustain any type of injury should seek medical care as soon as possible. It’s important to remember that some injuries, such as those to soft tissue, might not fully manifest until hours or even days following an accident. Drivers should make an appointment with their regular doctor if they’re experiencing any pain or discomfort following a crash. Certain injuries, however, merit a visit to a local emergency department. An example includes symptoms of head trauma, such as headache, sensitivity to light, or disorientation. It’s imperative for drivers to follow all their doctor’s orders regarding treatment, testing, and any other recommended medical procedures. Adherence to a provider’s orders could play an important role in determining the extent of a driver’s damages. Should a case go to court, for example, an injured driver does not want to be in the position of justifying to a jury why he or she missed appointments or failed to follow a treatment plan. Any accident leading to injuries or extensive property damage merits a call to a car accident attorney’s office. Anaheim car accident attorneys at Bentley and More, LLP offer a free case evaluation to any prospective client who wants to explore his or her legal options following a car accident. This meeting gives injured drivers an idea of what they can expect from the legal process, should they decide to pursue a claim to compensation for any damages they suffered. Distracted driving remains one of the biggest threats to drivers and passengers on the road today. According to the National Highway Traffic Safety Administration, 3,450 people lost their lives in the U.S. as the direct result of distracted driving in 2016. California has some of the most progressive distracted driving laws in the nation, with a ban on both texting and handheld device use. However, this does not always serve as a deterrent to drivers. A person sending or reading a text can take their eyes off the road for an average of five seconds – traveling at speeds of 55 miles per hour, a driver could travel the length of a football field without paying attention. Distracted driving involves any activity that takes a driver’s attention from the road – texting, talking on the phone, eating, drinking, and playing with the radio are all common examples. The National Highway Traffic and Safety Administration reports that nearly 30% of all traffic fatalities involve drunk driving. Drinking alcohol has a number of detrimental effects on the human body, including impaired judgment, decreased reaction time, lack of motor control, and issues with perception and coordination. As a result, many drivers under the influence of alcohol cause accidents by weaving in and out of lanes, misjudging the distance between themselves and other vehicles, and disobeying traffic signals. The National Sleep Foundation reports that driving drowsy can have many of the same detrimental effects as operating under the influence of alcohol. Like drunk drivers, drowsy drivers can experience changes in perception and judgment, delayed reaction time, and other factors that can contribute to a crash. Falling asleep behind the wheel can lead to one of the deadliest of crashes – a head-on collision. Navigating the car accident claims process following an accident might seem difficult, but it’s imperative for drivers to understand their legal options and know how to proceed. If you or a loved one recently sustained injuries or property damage following a car accident, you need the guidance of an attorney. The Irvine car accident lawyers at Bentley and More, LLP have extensive experience in negotiating with insurance companies and attaining fair settlements for their clients. Contact us today to schedule a free initial consultation. Let’s explore your legal options and hold insurance companies accountable for the damages you suffered.